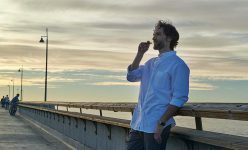 If you’ve reached this blog article, you’re either thinking about starting vaping or you might have even bought your first vape kit already. This is an exciting time and there are lots of new and different products out on the market, so it’s important to take some advice, listen to the experts, and find out a little more about the world of vaping – especially if you’re wondering how to use a vape pen for the first time. Since their creation by the engineer, Hon Lik, in 2003, e-cigarettes have gone a long way to become the easy-to-use devices we know today. Vaping is the act of using an e-cigarette, otherwise known as e-cigs or vaporizers, that convert e-liquid to vapour. They come in a range of shapes, size and styles together with a plethora of e-liquids to choose from. Sound complicated right? While it may seem the case, vaping is actually a straightforward and enjoyable process. If you’re still in the dark on how best to use your vape pen, then check out our ultimate guide to vaping. Below, we have outlined some key tips that will help you understand how to use a vape pen, as well as provide information on how to maximise the life of your pen, plus much more. How do I get the best flavour from my vape? There are two types of vapers: cloud-chasers and flavour-chasers. Cloud-chasing is trendy, but is not necessarily the best way to make the most of your vape equipment. Understanding how to use e-cigarette liquid isn’t the hard part and with multiple flavours to choose and mix the possibilities for the very best flavour can be endless – as well as tasty. 1. Reduce airflow – The more air circulating around your coil within your vape device, the more likely you are to reduce the strength of your e-juice. Take note to reduce your airflow to improve the flavour. However, you still need some airflow in order to keep the liquid cool enough to vape. 2. Adjust the temperature – If your vape equipment allows you to, adjust your wattage or temperature settings to really get that personalised approach for you. 3. Choose intense flavours – Choose products that offer a more intense flavour experience, such as our nicotine salts liquidpods. What is the best voltage, watts and Ohms to vape at? There’s no right or wrong answer to understanding how the voltage works behind your vape device. If you don’t feel confident changing your voltage, then the variable voltage that your device comes with should be sufficient to vape successfully. Generally if you’re looking for big flavour, then a higher voltage is more preferable, keeping your e-liquid warm. However, this can mean that your battery is drained more quickly and you run out of e-juice sooner. Plus, if you are a cloud-chaser, then keep your voltage down and use a high resistance atomiser to really enjoy those giant plumes. Also, different liquids react to different voltages, resistance, and ohms, so make sure you do your research on the right liquid before you buy. This can be dependent on how hard a hit you want, how intense of a flavour you’re after, or whether or not you require nicotine as well. You might also be wondering how to use a vape box and how to use a vape mod; these are larger devices that enable you to vape for longer, as well as having more options for higher voltages. How many puffs on a vape is equal to a cigarette? If you’re using your e-cigarette or vaporiser as a replacement to cigarettes, then this might be an important question to you. However, it’s also a question that is near impossible to answer, unless you’re a physician and can work it out for us. To make life easier, you can buy e-liquids in a range of differing nicotine strengths, dependent on whether you were a cigarette smoker previously, or if you’re just starting out in the vaping world and want something weaker. We have a number of nicotine levels, ranging from 0% to 1.6%, available in different flavours. Why not test a few strengths first to get to grips with your own tolerance levels? Can I use any liquid in my vape? The answer all depends on what vape device you possess. Some vaping pens allow you to use any e-liquid on the market, but are also not the highest quality and often don’t stand the test of time because low quality e-liquids can damage the device. blu devices come with a range of different flavours for whichever e-cigarette you choose. It’s up to you to experiment and decide which flavour suits your tastes and your vaping needs. It’s important to know how to refill a vape properly so that you can continue to enjoy various different flavours. Check your device information for more details or ask your supplier. Can I put water in my vape pen? Can you vape water? Although water tends to make the e-juices wick more easily, it’s not recommended that you use only water within your vape pen. Many of the liquids on the market have a high water content, but only using water can cause damage to your device, sometimes even rusting the coil. If you’re worried about how to clean a vape tank, make sure you ask your supplier for more information, especially if you’re not sure if water is suitable. In most situations, you should be able to clean your device with water, making sure to dry thoroughly. So, in answer to the questions, can you put water in a vape? Yes, but be wary of how often you’re doing this. Do you inhale when you vape? One of the great points about vaping is that there’s always a choice. Whether you’re a cloud-chaser or a flavour-chaser; require nicotine or don’t; or if you’re a mouth-holder or inhaler. Again, if you’re a seasoned smoker looking to reduce your consumption of regular cigarettes, then inhaling from your vape pen might be a great choice for you. Inhaling also allows the user to receive a greater hit on the back of their throat; something which is favoured by many experienced vapers. However, if you’re all about the flavour, rather than substituting cigarettes or receiving a nicotine hit, then you may well be a mouth-holder. This allows you to enjoy the vaping experience, without inhaling directly into your lungs. For more advice on how to inhale or mouth-hold, take a look at our blog article. Can you vape too much? Sometimes, you might find that you reach the end of your e-liquid within your device and receive a hit to the back of the throat that gives you ‘dry-throat’. Although this doesn’t necessarily mean that you’re vaping too much, it could be an indication that you aren’t checking your e-cigarette enough, especially those that need refilling. You might also be asking yourself, can I vape too much? It’s an understandable concern, as vaping has evolved from cigarette smoking. So, let’s take a look at what happens if you vape too much. If you believe you might want to use your device throughout the day, but are concerned about nicotine levels, then try going for a liquid that has a lower nicotine percentage than you would normally go for. This can provide you with peace of mind that you’re conscious of our nicotine intake and can adjust if needs be. Asking an expert is a great way to determine what your preferred nicotine levels might be. Also, most institutions and bars don’t allow you to vape indoors, which can lead to problems when in social situations. Our best advice is to limit your vaping to as and when you can enjoy it fully, without getting yourself into trouble or disappearing at every possible chance when out with friends or family. What can you put in a vape? We would recommend you only use e-liquids from official, registered businesses and don’t attempt to insert any other oils or ingredients into your vape pen. There are so many different flavours and types of e-juices on the market, that it’s near impossible that you won’t find something to suit your tastes, whether that’s something sweet, something mellow, or something particularly potent. What are UK vaping laws? Currently, there is no law banning vaping on a nationwide basis, but there are restrictions (as mentioned previously) as to as and when you are allowed to use your e-cigarette in public places. There are also limitations on e-liquid amounts and sizes, as well as nicotine strength, something which is regulated and can change often. We’re keen to keep you up to date with these changes and make you aware as and when they happen. For more information on the UK vaping laws, take a look at our blog article.